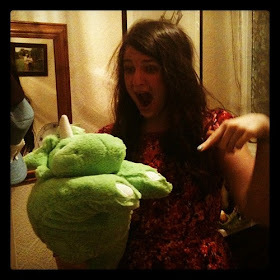 t*rexes and tiaras: Friday Favourites 224.. 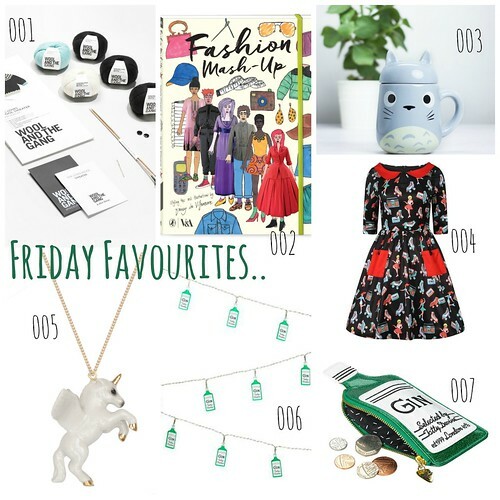 This week's Friday Favourites post is a little round up of some wonderful gift ideas, for anyone who is yet to do their Xmas shopping but is looking to spread a little festive cheer. 001: If you know any crafty knitters out there, one of these Wool and the Gang jumper kits would be the perfect thing to get their crafty juices flowing. 002: This book is wonderful - I was lucky enough to be sent my very own copy, which I've had lots of fun with, and I've bought a copy for a secret santa present as well, as I know it's going to appeal to so many. 003: I've shamefully never seen this movie, but so many people have told me I need to. But I'd appreciate the cuteness of this mug - it even has a lid to keep your drinks warm. 004: Lindy Bop are just fabulous, of late. 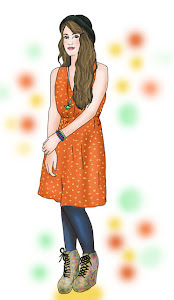 This roller skating dress just happens to be one of my current favourites, but they've also started offering Gift Vouchers, in case you're not sure which amazing dress to go for for your recipient. 005: You can't go wrong with And Mary jewellery, can you? Lilac Rose has a great little selection and they offer free delivery on all of their jewellery, too. 006 and 007: The Tatty Devine homewares range is just amazing. For all of the gin lovers in your life, how about these awesome gin fairy lights, or the matching coin purse? Berylune has the whole range, as well as being jolly lovely to boot. Spied anything which would make an awesome Xmas gift? Holler! It's cute in a way, till you cannot speak..
Sunday Shoes 127: Irregular Choice Pinky Perky..
As we dream by the fire..
Have yourself a Yoshi little Christmas..
Do you think we'll be in love forever...? His head is filled with cartoons and fairytales..